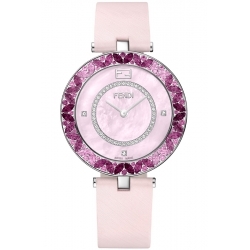 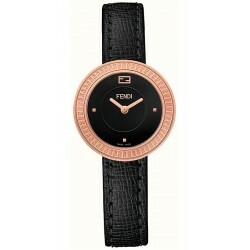 If you love pure luxury, new this new Fendi My Way watch collection is just for you! 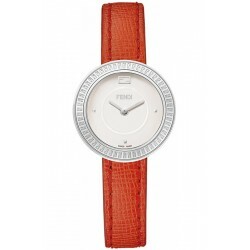 These watches are available in two case sizes - 28 mm and 36 mm. 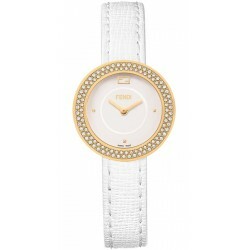 Love gold?! 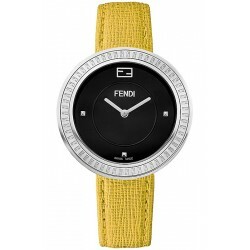 They feature high-quality yellow and rose gold plated cases as well as classic stainless steel ones. 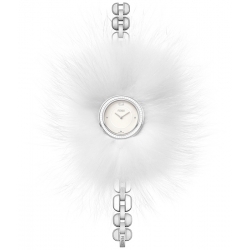 Genuine calf leather straps in different colors with fox fur attachments make these timepieces real stylish statement makers! 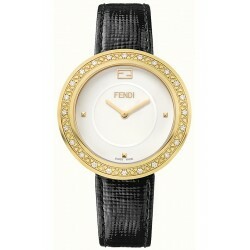 For an extra sophisticated person Fendi designed special edition watches that are encrusted with icy white diamonds. 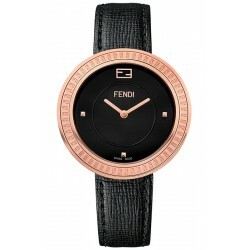 Feel yourself special wearing one of these unique Fendi My Way watches! 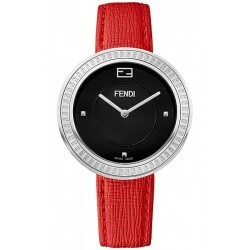 Brand Name: FendiSeries: My WayModel Number: F351034000B0Size: Women'sCase Material: Stainless SteelCase Diameter: 36.0 mmDial: White LacqueredBracelet: Stainless SteelClasp Type: JewelryMovement: Swiss QuartzFunctions: Hours, MinutesBezel: Stainless Steel, set with 24 DiamondsCrystal: Scratch Resistant Sapphire Water Resistant: 50m. 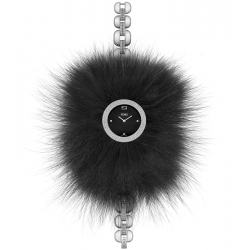 / 165ft. 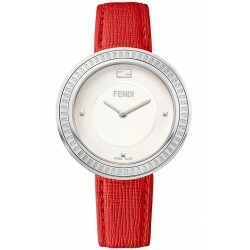 Brand Name: FendiSeries: My WayModel Number: F351034000Size: Women'sCase Material: Stainless SteelCase Diameter: 36.0 mmDial Color: White LacqueredBracelet: Stainless SteelClasp Type: JewelryMovement: Swiss QuartzFunctions: Hours, MinutesBezel: Stainless SteelCrystal: Scratch Resistant Sapphire Water Resistant: 50m. / 165ft. 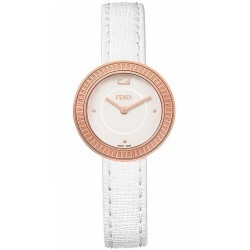 Brand Name: FendiSeries: My WayModel Number: F351534000Size: Women'sCase Material: Rose Gold Plated SteelCase Diameter: 36.0 mmDial Color: White LacqueredBracelet: Rose Gold Plated SteelClasp Type: JewelryMovement: Swiss QuartzFunctions: Hours, MinutesBezel: Rose Gold Plated Steel Crystal: Scratch Resistant Sapphire Water Resistant: 50m. 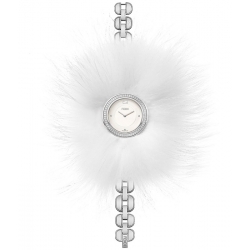 / 165ft. 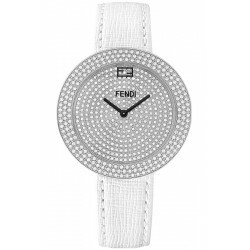 Brand Name: FendiSeries: My WayModel Number: F359034004Size: Women'sCase Material: Stainless SteelCase Diameter: 36.0 mmDial Color: White LacqueredBracelet: Stainless Steel with White CeramicClasp Type: JewelryMovement: Swiss QuartzFunctions: Hours, MinutesBezel: White CeramicCrystal: Scratch Resistant Sapphire Water Resistant: 50m. 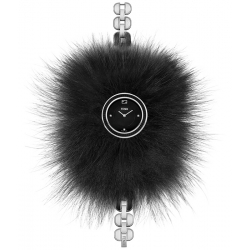 / 165ft. 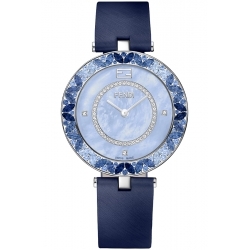 Brand Name: FendiSeries: My WayModel Number: F357034003Size: Women'sCase Material: Stainless SteelCase Diameter: 36.0 mmDial Color: White LacqueredBracelet: Stainless Steel with Blue CeramicClasp Type: JewelryMovement: Swiss QuartzFunctions: Hours, MinutesBezel: Blue CeramicCrystal: Scratch Resistant Sapphire Water Resistant: 50m. 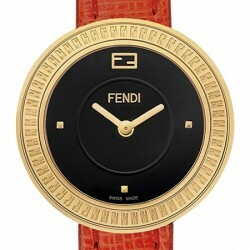 / 165ft. 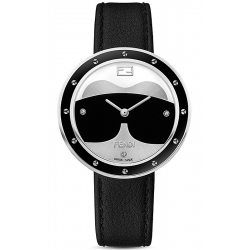 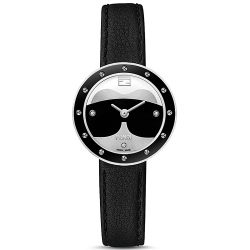 Brand Name: FendiSeries: My WayModel Number: F353031001Size: Women'sCase Material: Stainless SteelCase Diameter: 36.0 mmDial Color: Black LacqueredBracelet: Stainless Steel with Black CeramicClasp Type: JewelryMovement: Swiss QuartzFunctions: Hours, MinutesBezel: Black CeramicCrystal: Scratch Resistant Sapphire Water Resistant: 50m. / 165ft. 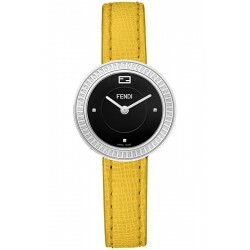 Brand Name: FendiSeries: My WayModel Number: F351434000Size: Women'sCase Material: Yellow Gold Plated SteelCase Diameter: 36.0 mmDial Color: White LacqueredBracelet: Yellow Gold Plated SteelClasp Type: JewelryMovement: Swiss QuartzFunctions: Hours, MinutesBezel: Yellow Gold Plated Steel Crystal: Scratch Resistant Sapphire Water Resistant: 50m. / 165ft.